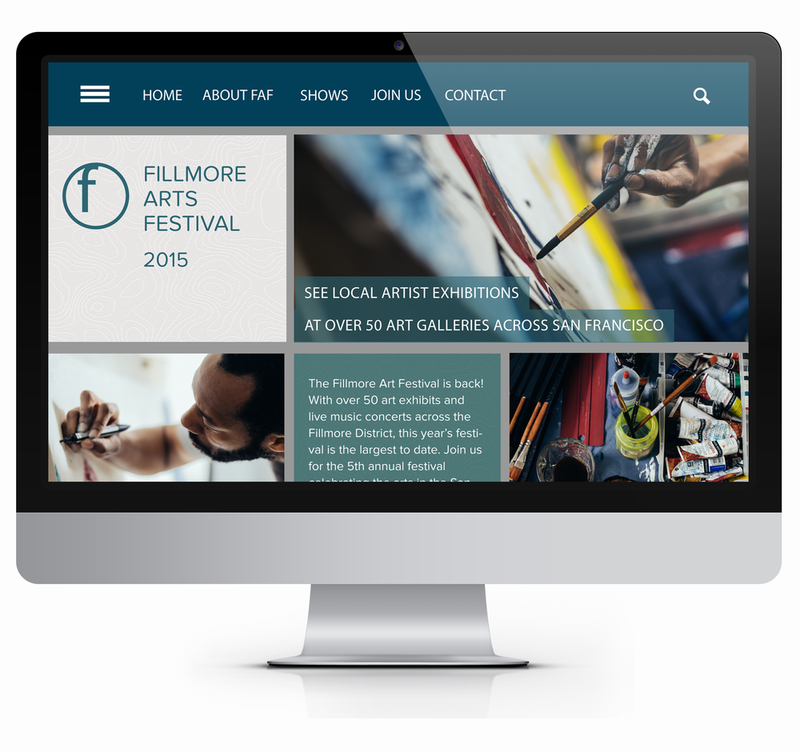 Web and mobile design concept for a Fillmore Arts Festival event. This event would showcase local artists and focus on collaborative workshops and talks. Goal: To capture the creative energy of the festival while giving the public an easy way to find out more about each of the Festival's events. Problem: To organize a large schedule of exhibits, workshops, and talks into a site that is easy to navigate. Solution: Since users want to find specific events and see which ones fit with their schedule, the design streamlines the search process by focusing on event categories in the navigation, as well providing a calendar search function for scheduling. This approach allows users to search events by title, category, or specific dates. The site's clean design and ease-of-use keeps it's art-focused users coming back. A simple top navigation menu lets users search event categories like exhibits and special events, while the calendar at the bottom allows them to search by month and date to bring up a list of daily offerings. Design Process: User personas and goals were outlined at the start, and wireframes helped to visualize the structure of the site and how each navigation and search section should be organized.